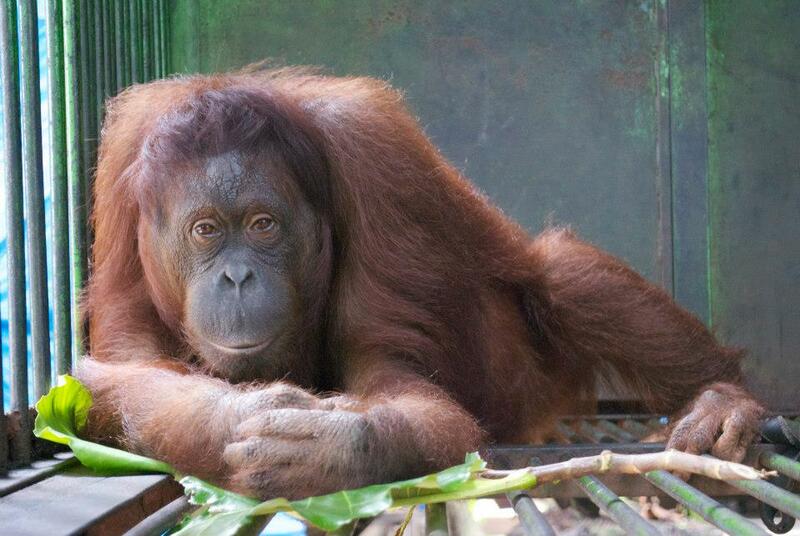 Pingky is being cared for at IAR Ketapang. 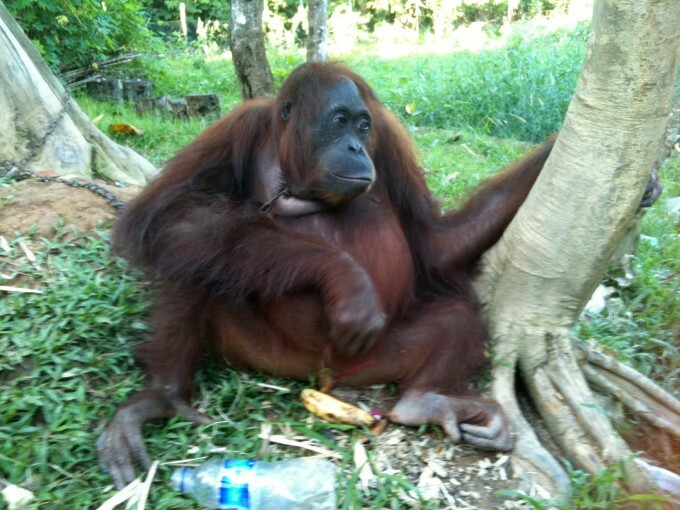 She was chained to a tree for 13 years– so long that the chain was embedded into her neck and had to be surgically removed. 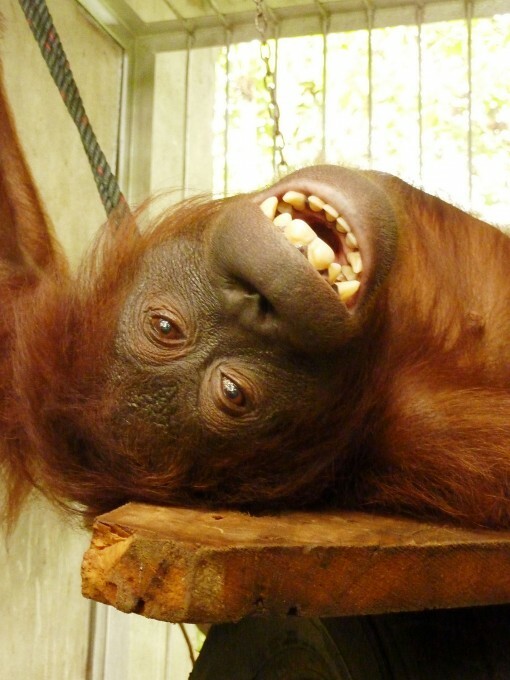 Many people prefer to adopt a relatively ‘easy’ and cute baby orangutan but we would also like you to also consider the more challenging orangutans like Pingky. Please support this lovely lady. 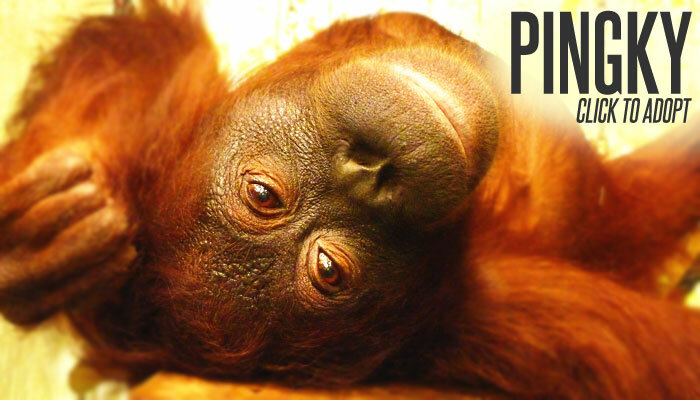 She has been through so much misery, and it is time for her to learn to become an orangutan again. YES! I want to adopt Pingky!